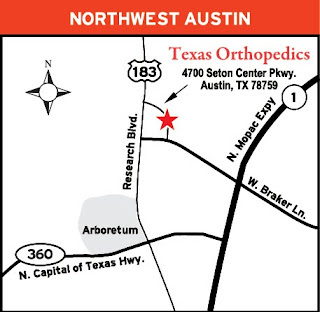 Texas Orthopedics has a new seminar to help patients with the #1 New Year's Resolution! Join us the fourth Tuesday of every month from 6-7pm at our Northwest Austion location to learn more about weight management, healthy eating and exercise from orthopedic surgeon Dr. Barbara Bergin and personal trainer and dietician Tom McLernon at NYR Camp! NYR Camp is a FREE seminar to help you learn how to live a healthy lifestyle. Bring your family and friends.